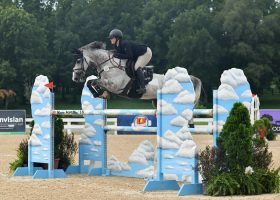 The 2013 US Pony Finals officially kicked-off on Tuesday with Green Hunter Ponies and Medium Regular Hunter Ponies taking their first steps towards National Titles in the US Hunter Pony Championship presented by Sallee Horse Vans. 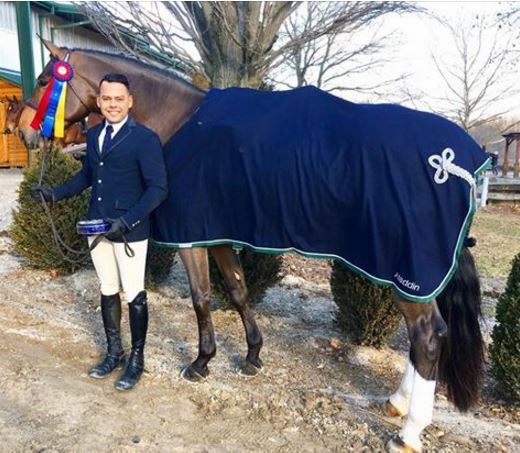 Small, Medium and Large Greens all completed their Model and Under Saddle phases in the Kentucky Horse Park’s Walnut Arena, while Medium Regular Hunter Ponies performed their Model phase in front of the judging panel of Chance Arakelian, William Sparks and Jeff Wirthman. 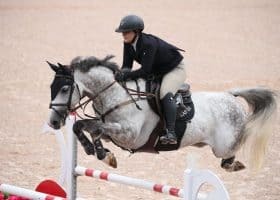 Emma Kurtz enjoyed an extremely successful day to hold the overnight lead in the Small Green Pony Hunter division, the Medium Green Pony Hunter division and the Medium Regular Pony Hunter division. She leads with Yes It’s True, Show Me Love and Grand All Over respectively. In the Large Green Pony Hunter division Daisy Farrish and Northwind Marin hold a slight edge over Kurtz to head into Wednesday’s Over Fences Phase on top of the leaderboard. The US Hunter Pony Championship presented by Sallee Horse Vans are determined by calculating the scores from the three phases of competition, the highest scoring pony of each height section will be declared champion of its section. 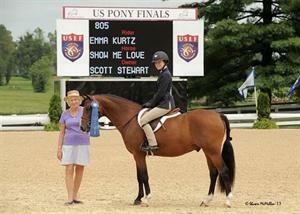 Additionally, the highest scoring pony overall will be declared the week’s Grand Champion. The Model and Under Saddle phases will each count towards 25% of the overall score with the remaining 50% to be determined by the Over Fences Phase. In the Small Green Pony Hunter division, Kurtz (Hudson, OH) and Yes It’s True jumped out to the early lead with strong performances in Tuesday’s two phases. Kurtz (Hudson, OH) and Sofia Roberts, LLC’s eight year-old cross bred mare began the day with a second place finish in the Model Phase, scoring 247. The talented pair returned to the Walnut Arena later in the day to score 259 and earn the top placing in the Under Saddle phase. 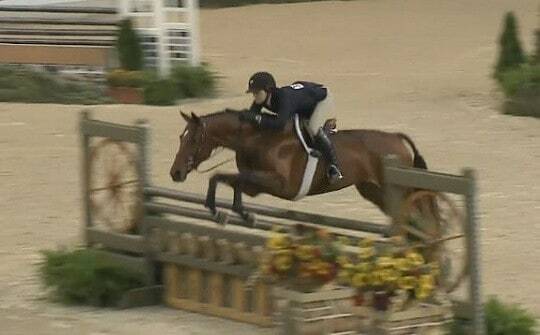 They head into Wednesday’s Over Fences Phase holding a 12 point lead on a two-phase total of 506. After the completion of two phases of competition, Morgan Champey and her own 10-year-old Warmblood mare Maple Leafs Opulence lie in second place. In the Model Phase the pair earned fourth place with a score of 246. Champey (Far Hills, NJ) and Maple Leafs Opulence returned for Tuesday’s second phase to score 247 and earn a fifth place finish in the Under Saddle portion of competition. They stand on a two-phase total of 493. Lying in third place following the first two phases of the Small Green Pony Hunter division, is Lauren Gallagher and Cold Spring Farm’s H.G. Mud Puddles. 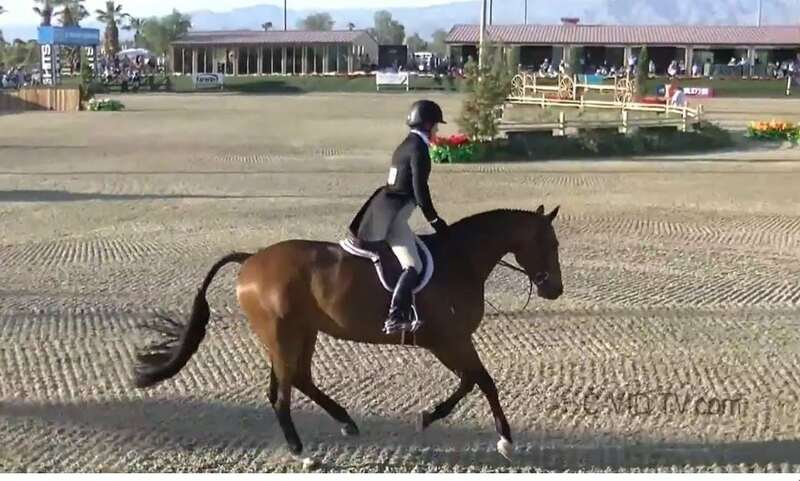 Gallagher (Oxford, PA) and the seven-year-old Half-Welsh mare earned 14th place in the morning’s model with a score of 235 and returned to score 257 and earn second place in the Under Saddle phase. The combination will enter the Over Fences Phase on a total of 492. Mackensie Altheimer (Tampa, FL) and ABA Hunter Ponies’ eight-year-old Welsh Pony mare Heavens to Betsey was the winner of the Model Phase in the Small Green Pony Hunter division with a score of 250. 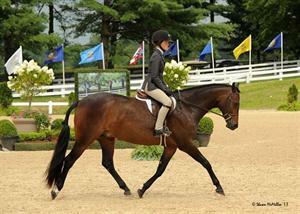 Small Green Pony Hunter division concludes Wednesday with the Over Fences Phase. Kurtz will also head into the final phase of Medium Green Pony Hunter competition as the overnight leader after earning top scores with Scott Stewart’s Show Me Love. The six-year-old Bavarian Warmblood gelding earned second place finishes in the Model Phase of competition with a score of 253. Kurtz returned in the afternoon and demonstrated her proficiency in the Under Saddle Phase to again earning a score of 259 and her second victory of the day. Show Me Love stands on a two phase total of 512 heading into the Over Fences portion of the Medium Green Pony Hunter division. Eight-and-a-half points behind Kurtz is Kirklen Petersen and David Glefke’s Foot Steps. Petersen (Great Falls, VA) and the eight-year-old Palomino mare began the day with a fourth place effort in the Model Phase, scoring 252. In the Under Saddle Phase the pair earned a 251.5 for fifth place. They stand in overall second place on a score of 503.5 with one phase of competition left to complete. Coco Fath (Fairfield, CT) lays third overnight on an overall score of 501 with Katherine Arliss’ seven-year-old Welsh Pony Rosmel’s Fairy Steps. 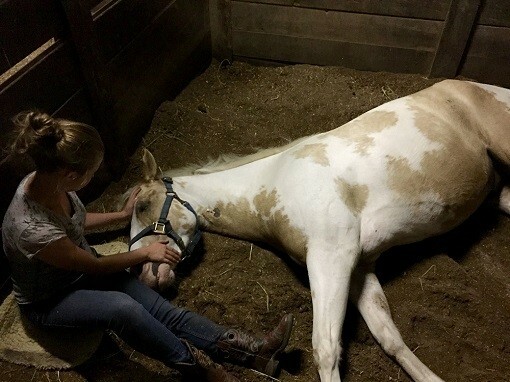 In the Model Phase, the pair scored 247 for seventh place and returned later in the day to earn second place in the Under Saddle Phase with a score of 254. 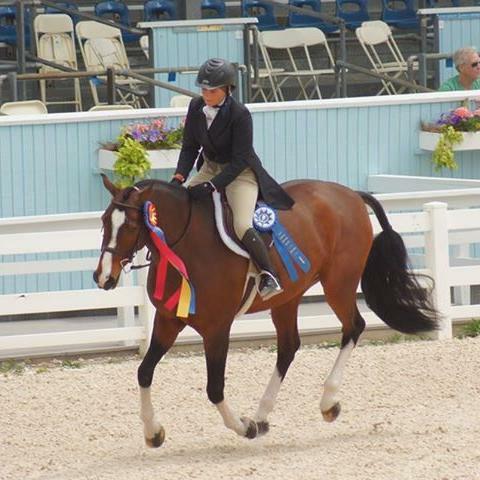 Sierra Gundersen (Ridgefield, CT) and her own 10-year-old Welsh Pony mare earned a score of 254 to top the Model Phase of the Medium Green Pony Hunter division. 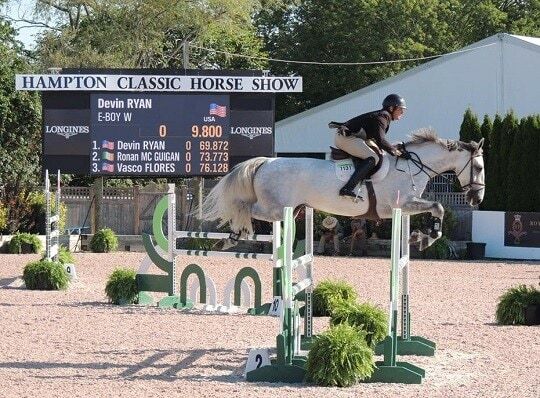 Medium Green Pony Hunter division concludes Wednesday with the Over Fences Phase. Topping the day one overall standings and the Under Saddle portion of competition in the Large Green Pony Hunter division is Farish (Versailles, KY), who piloted Prue Richardson’s seven-year-old cross-bred gelding Northwind Marin (right) to a score of 263 in Tuesday’s second phase. 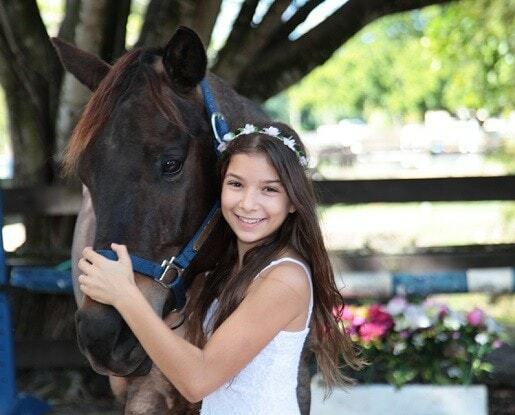 Farish, the 2011 Overall Small Pony Hunter Grand Champion, placed sixth earlier in the day in the Model Phase. She will head into Wednesday on an overall score of 508. Kurtz, who lays second in the Large Green Pony Hunter division on a score of 503, added another top placing to her name on Wednesday as she topped the Model Phase for the Large Green Pony Hunter division with Stewart’s seven-year-old Welsh Pony cross gelding All My Love, scoring 252. 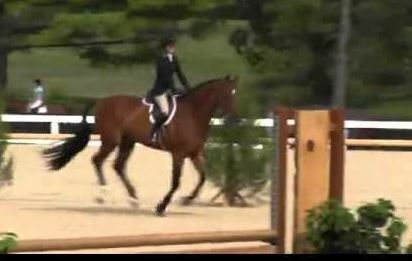 In the Under Saddle portion of competition the pair finished in sixth place with a score of 251. Laurel Bennet (Carlisle, PA) and her own six-year-old Mecklenburg gelding Harrison stand third heading into Wednesday’s final phase with an overall total of 499. 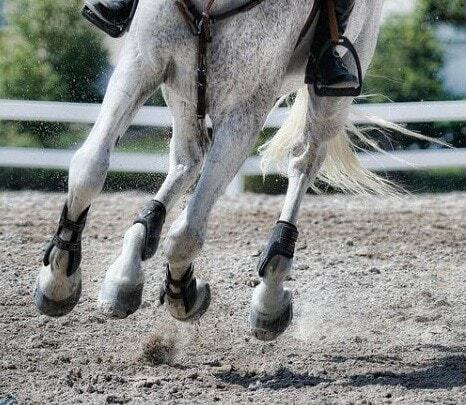 The pair scored 251 to place second in the Model and eighth in the Under Saddle Phase with a 248. Large Green Pony Hunter division concludes Wednesday with the Over Fences Phase.